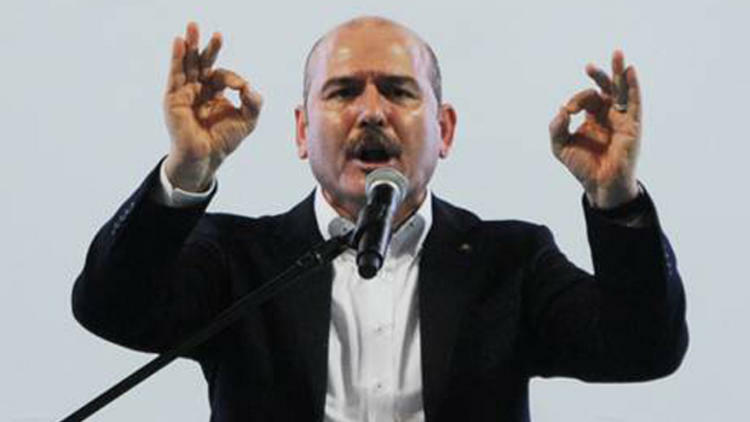 Turkey’s Interior Minister Süleyman Soylu will have to cough up 10,000 lira over insults he leveled at the leader of the country’s largest opposition party. The 21st Civil Court of First Instance in Ankara ordered Soylu to pay the “immaterial compensation payment” to Republican People’s Party (CHP) leader Kemal Kılıçdaroğlu. It was his use of the words “impudent, sewer, imposter, trickster, liar, ignoble, vile” to describe the CHP leader on a pro-government news channel on December 25, 2017, that landed him in hot water. The minister made the derogatory statements on the A Haber news programne in reaction to earlier claims in November 2017 by Kılıçdaroğlu that relatives of President Recep Tayyip Erdogan had been sending money overseas to the Isle of Man. “If Kılıçdaroğlu doesn’t prove that our president and his relatives have money in the Isle of Man then he is ignoble and vile,” Soylu said on the news programme. “I am saying that Kılıçdaroğlu will not get away from here to anywhere. I am saying by underlining this if he doesn’t not prove that our president and his relatives have money on the Isle of Man or somewhere abroad, he will see what we make him wear around his neck and what type of rattles we will hang from his neck, ” he said, referring toTurkish idioms that are said to indicate that someone will be punished.